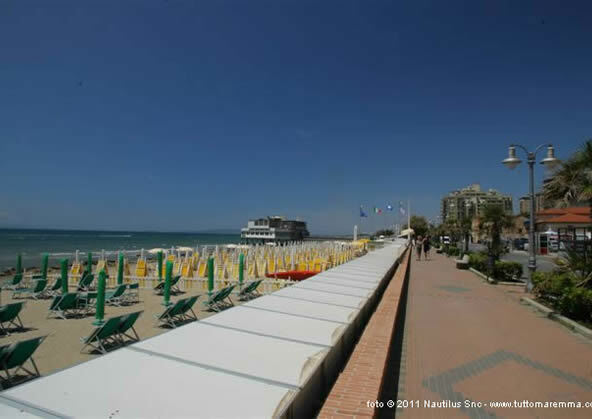 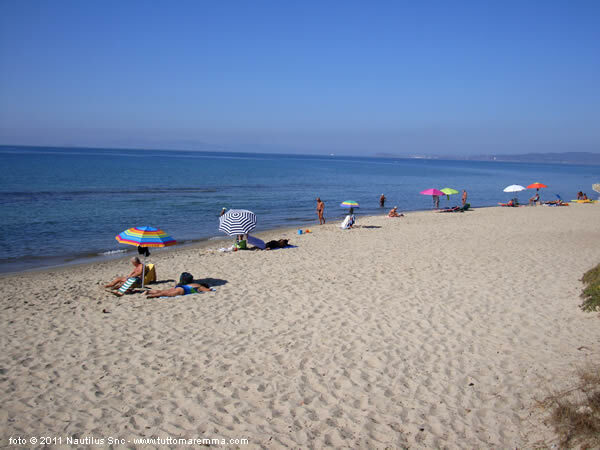 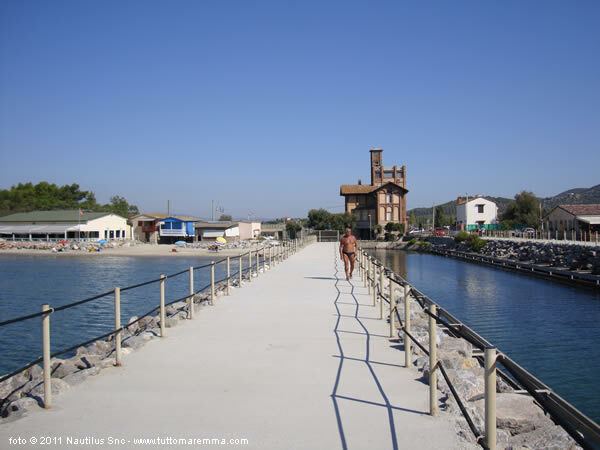 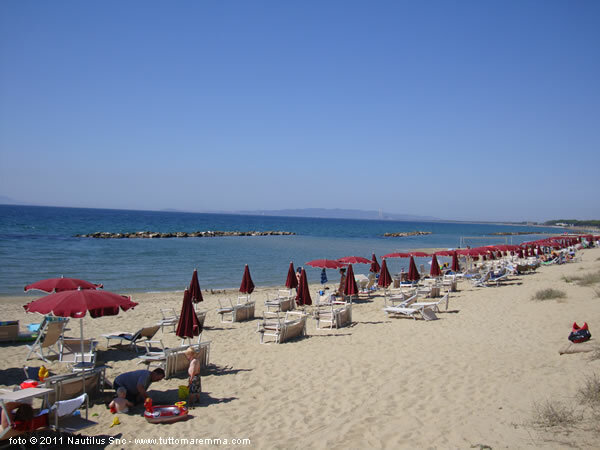 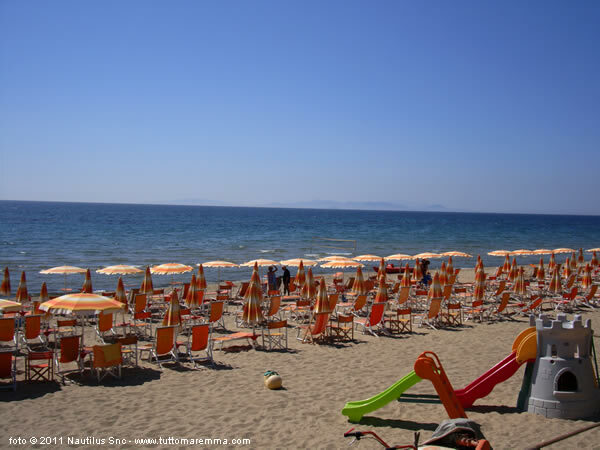 Follonica beaches: useful travel guide to the beaches on Follonica, with map and photos. 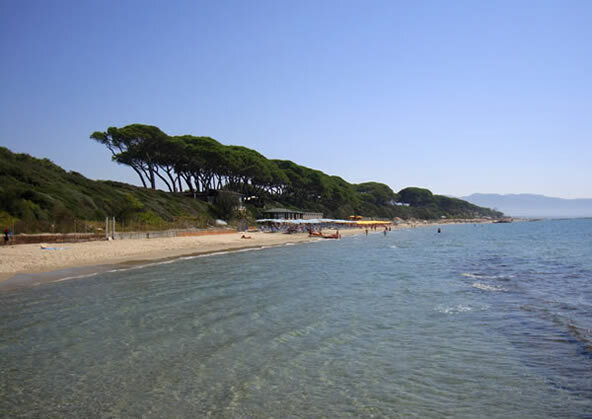 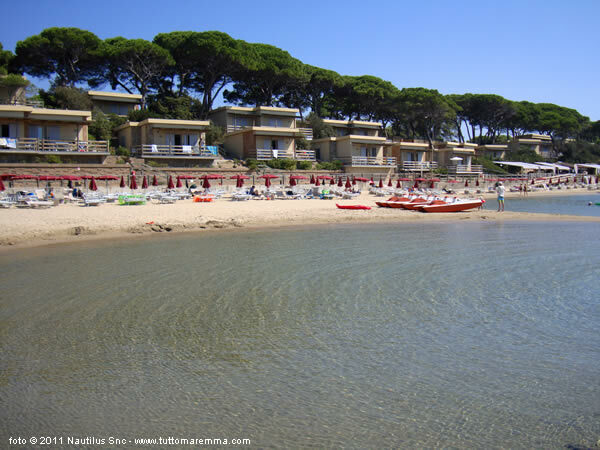 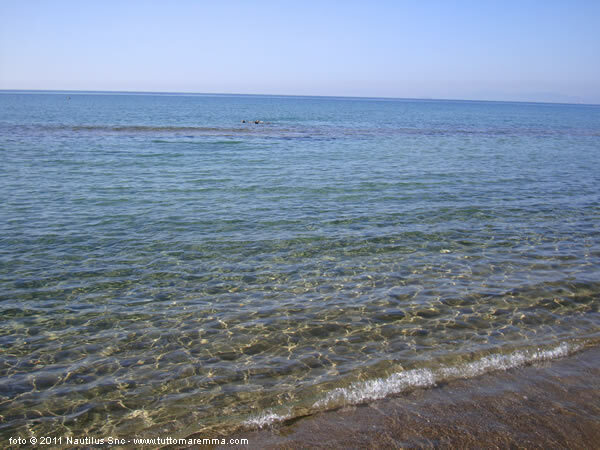 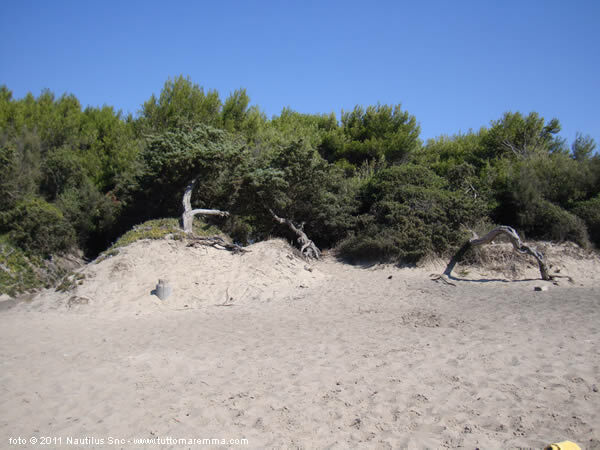 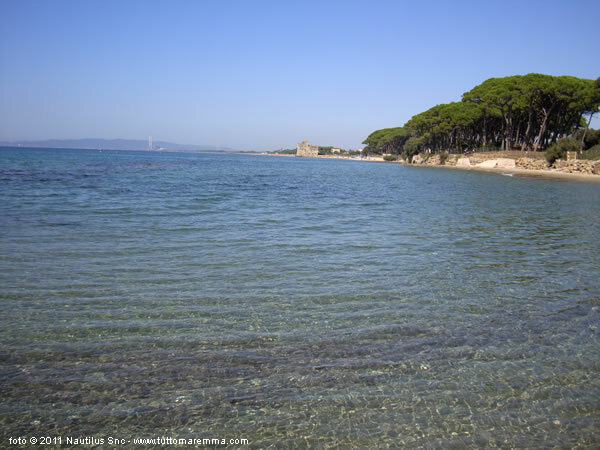 Carbonifera beach is 5 km away from the center of Follonica. 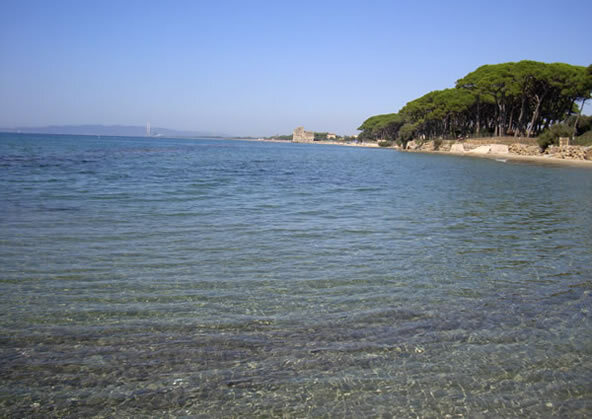 The name of this beach comes from the presence of a nineteenth century tower, an ancient commercial point. 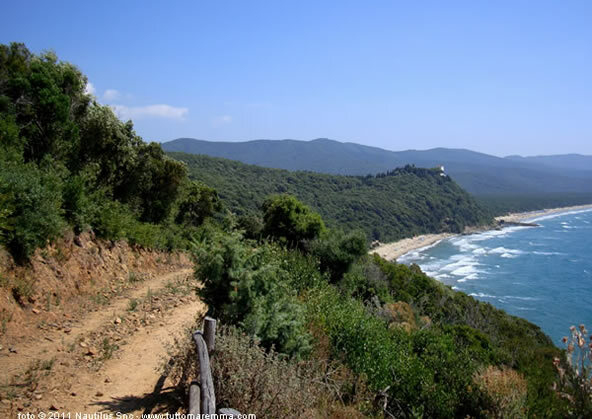 You can park the car in a large area and reach the beach on foot by walking about 100 meters. 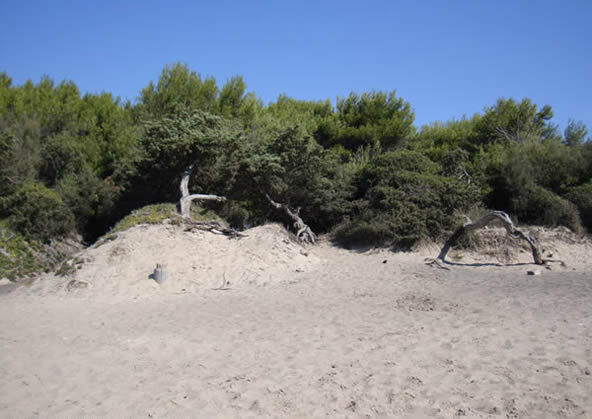 The beach is of white sand with coastal dunes and pines. 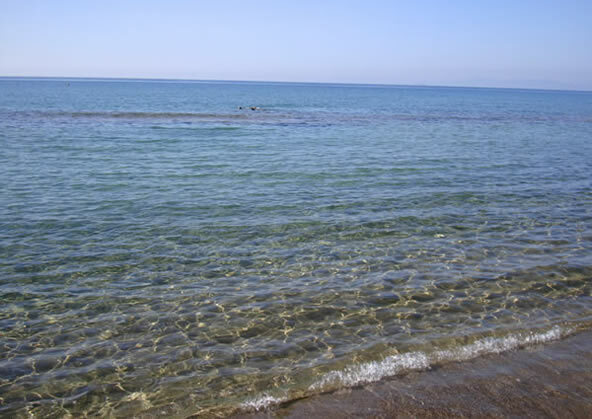 The seabed is shallow, particularly comfortable for little children. 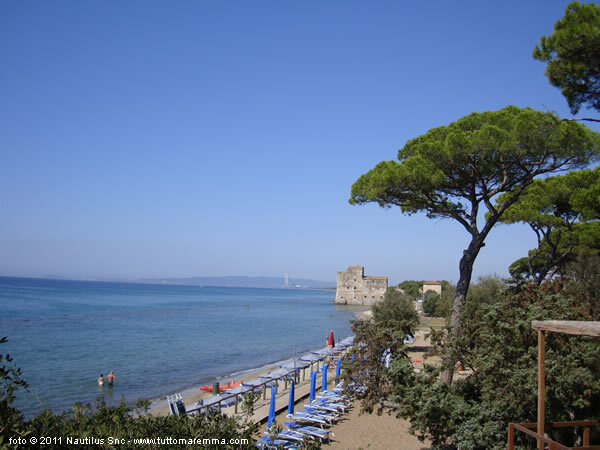 Torre Mozza beach is just 3 km from the center of Follonica, it’s a beautiful beach "supervised" by an ancient tower. 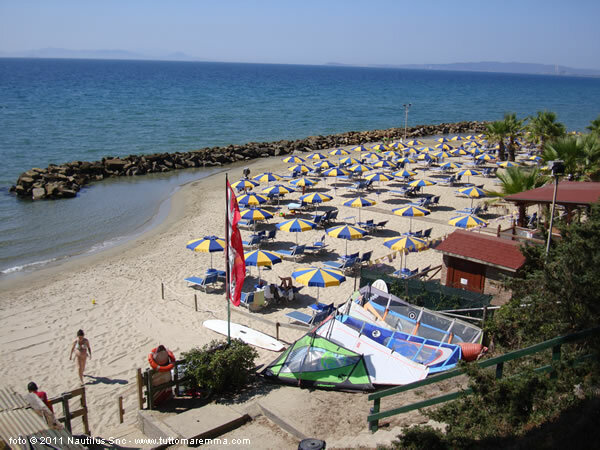 Parking areas are located very close to the beach. There are both free beaches and bathing establishments. 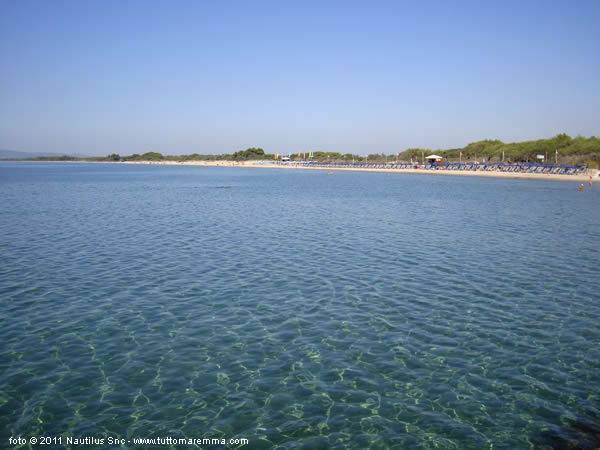 About thirty meters from the shore, one meter below the water surface, there is a submerged reef from where you can see octopus, sea bass, sea bream and salps. 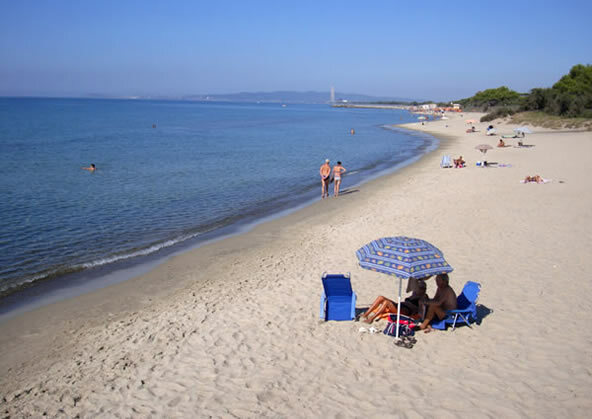 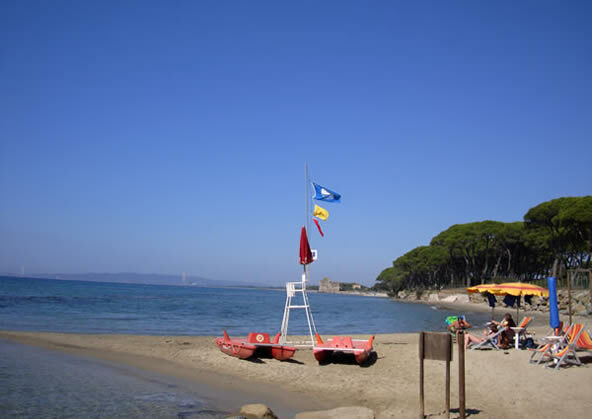 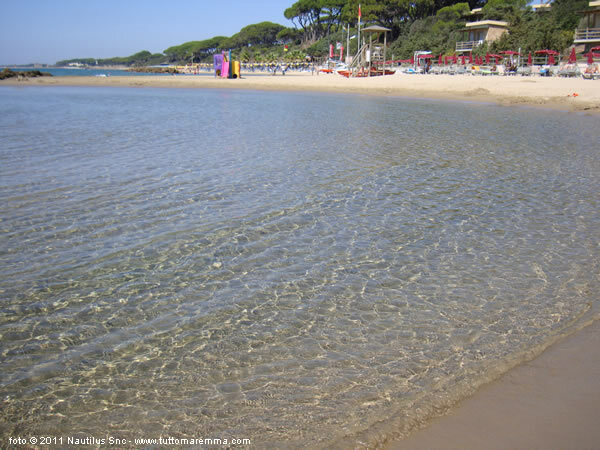 Il Boschetto, Pratoranieri and Lido are the closest beaches to the center of Follonica. 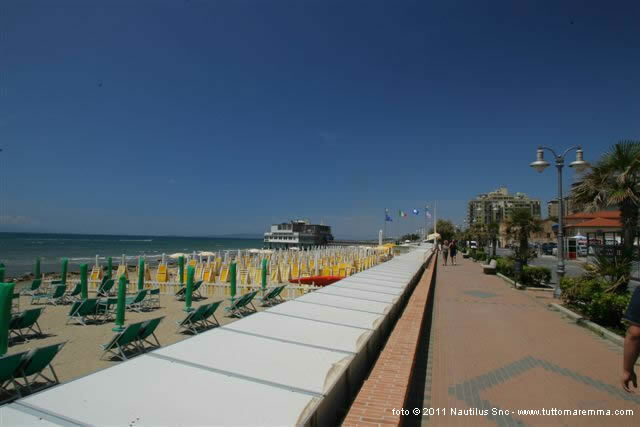 There are a lot of beach resorts. 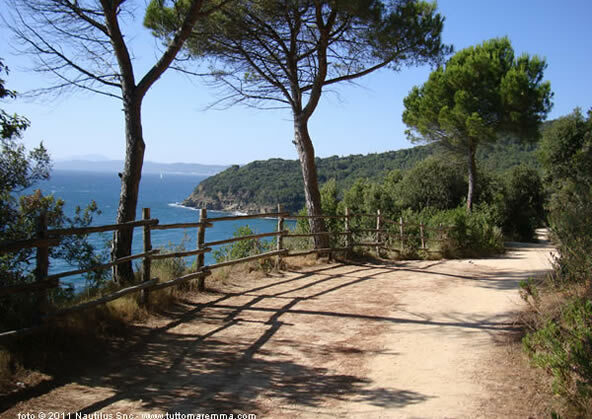 On a clear day you can see on the horizon the islands of Elba, Montecristo and Corsica. 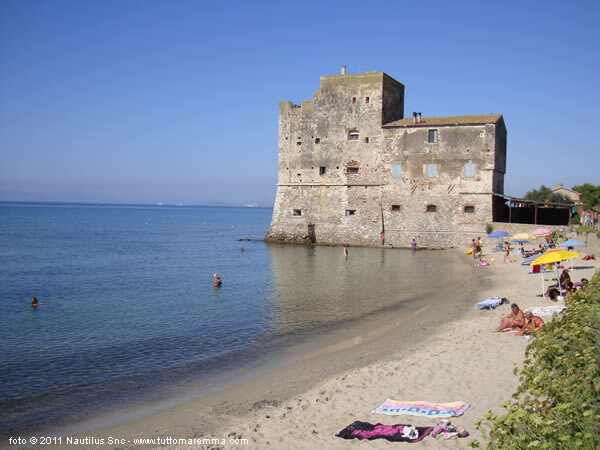 On the east side always going south, we find the Powder Magazine, is approximately 3 km from the center of Follonica. 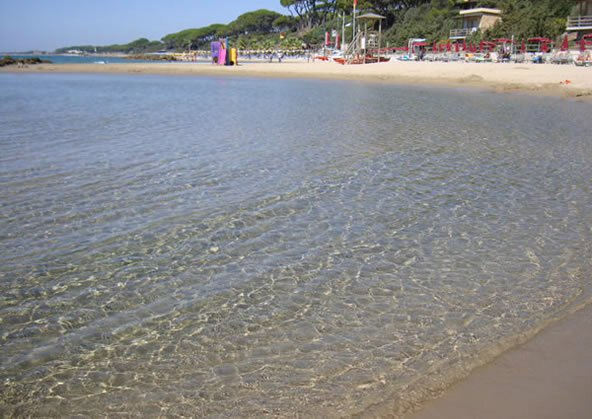 In this beach, the sea bottom is very low and particularly suitable for children. 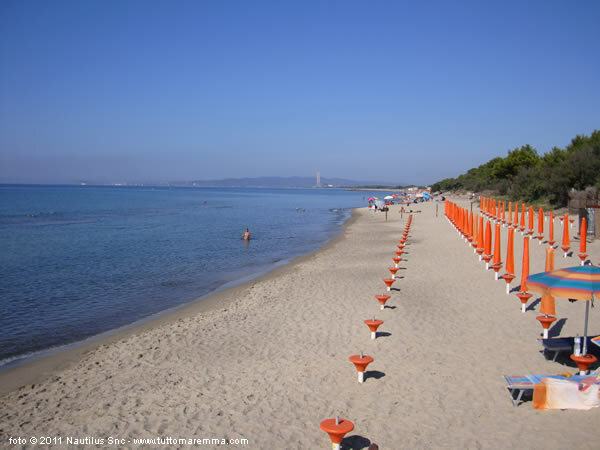 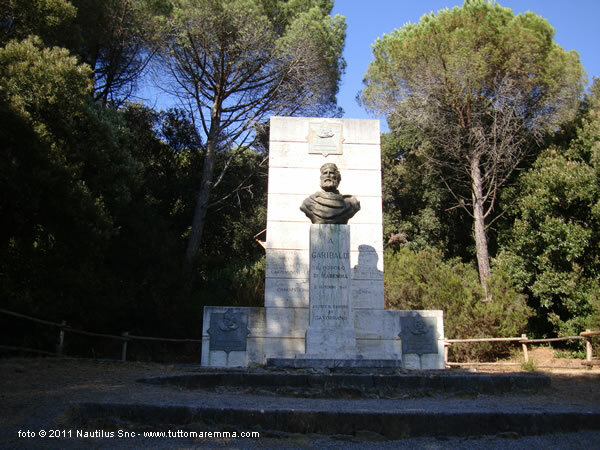 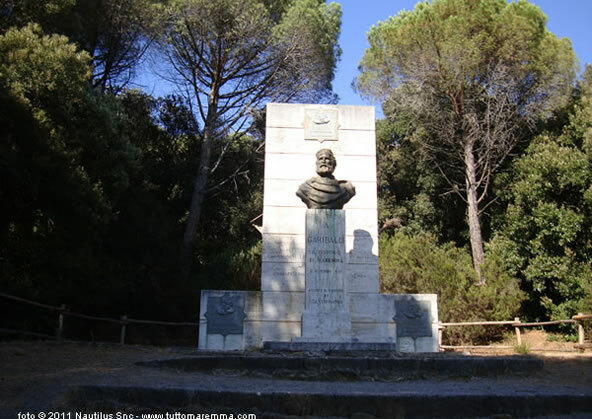 Located about 7.5 km from the center of Follonica, it can be reached both by Località Puntone and by Pian d'Alma. 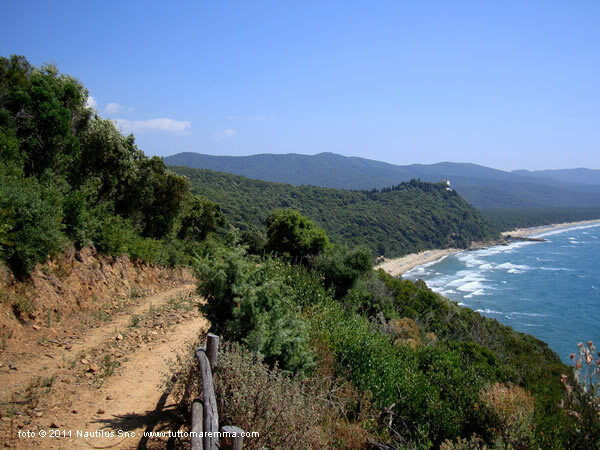 Cala Martina is a little hard to get to: all motorized vehicles are not allowed on the trail, you can reach the beach just walking or cycling. 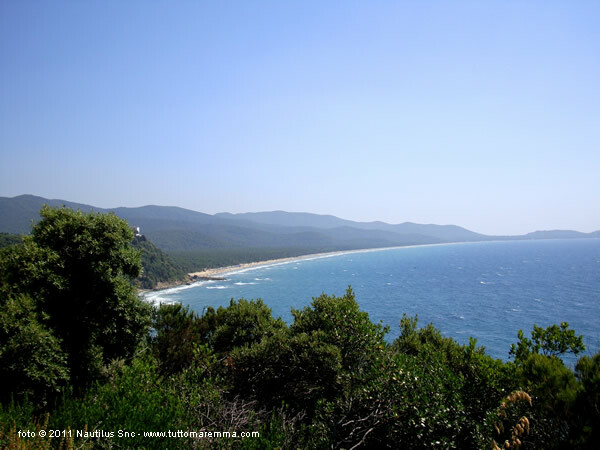 We remind you to bring with you all stuffbecause there are not shops or rest stops. 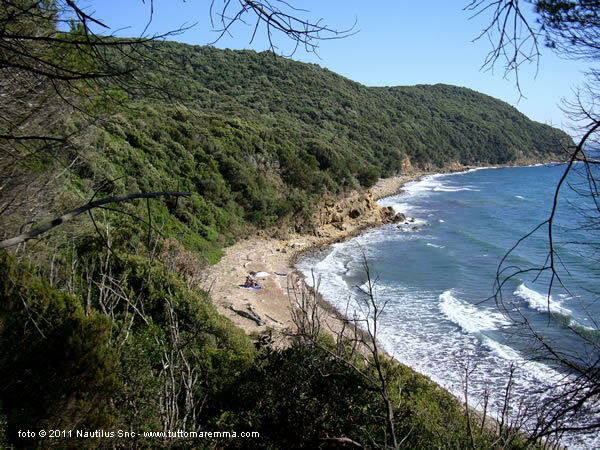 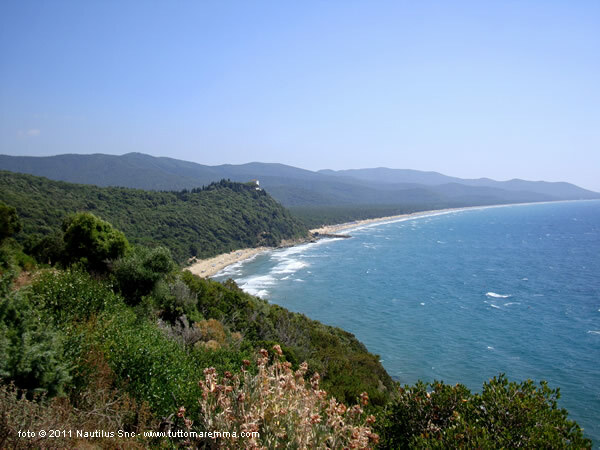 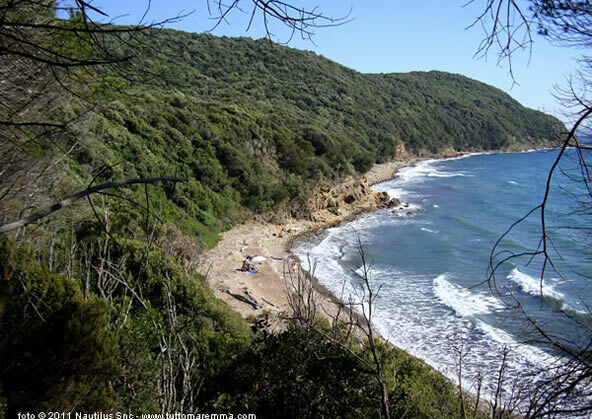 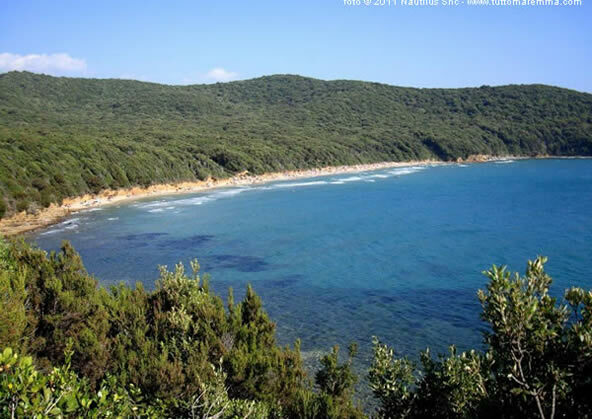 Cala Violina beach is one of the most beautiful beaches of Maremma. 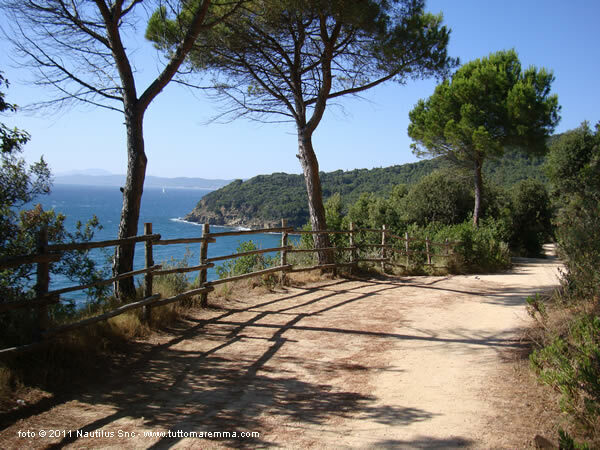 It is located in a reserve, vehicles are subject to access restrictions. 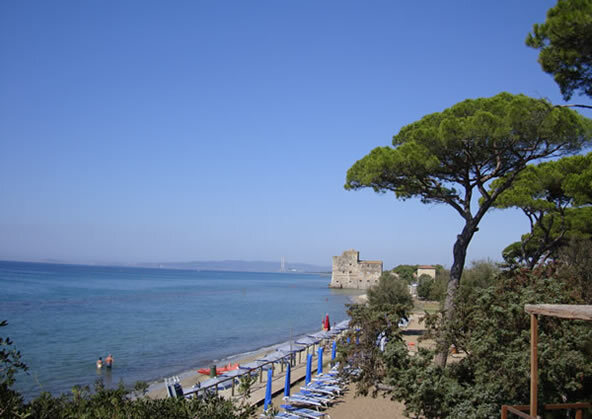 Cala Civette beach takes its name from the Tower overlooking the bay. 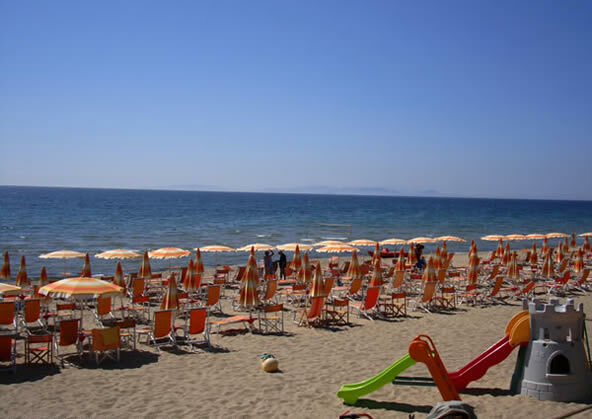 The beach is about 11 km away from the center of Follonica. 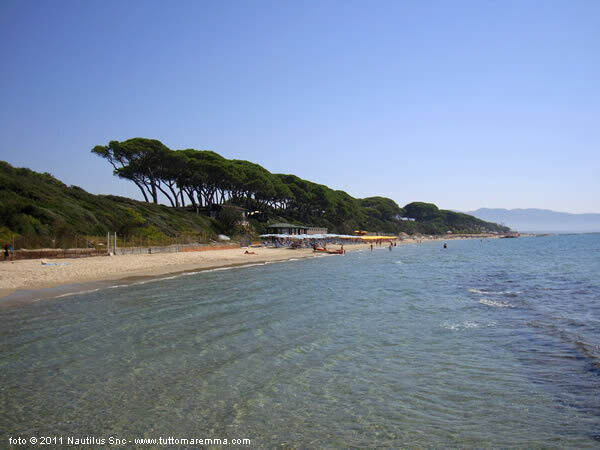 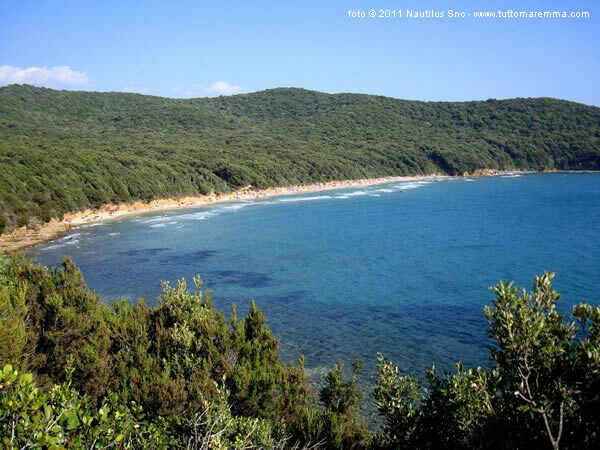 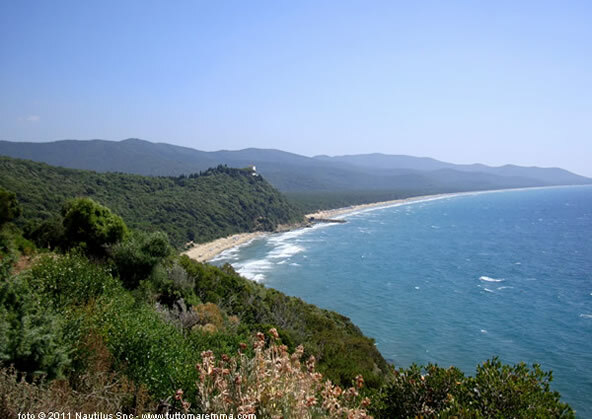 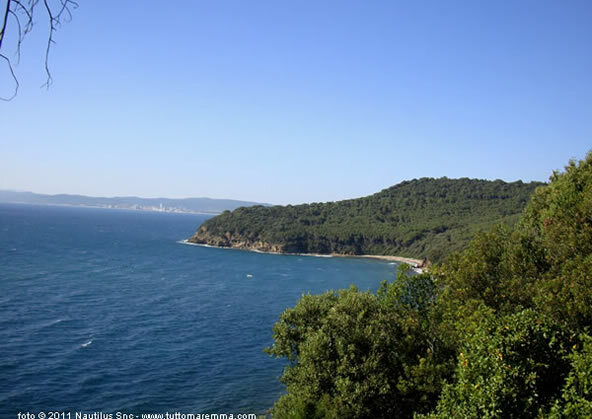 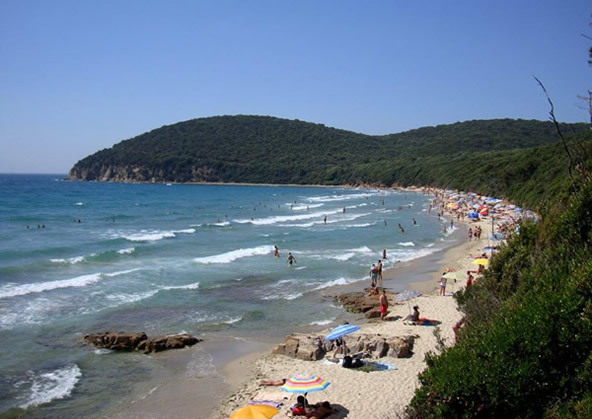 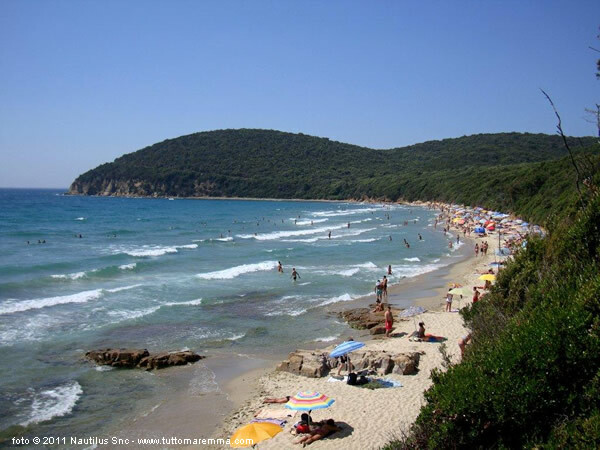 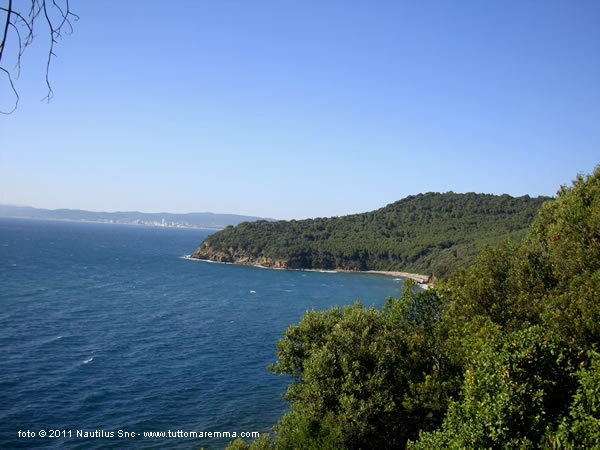 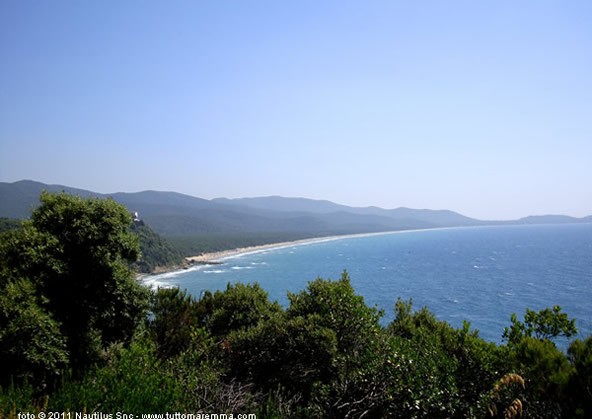 It is the wildest and hidden beach among all those in the Gulf of Follonica. There are no rest shops. Casetta Civinini beach is 12 km away from the center of Follonica. 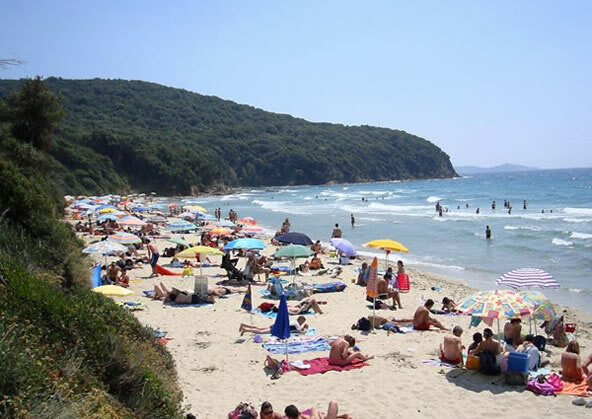 It’s a white sand and very wild beach about 6 km long. 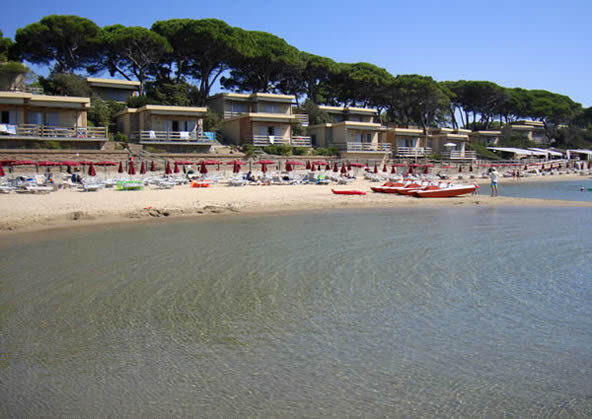 Most part of the beach is public but there are also beach resorts. 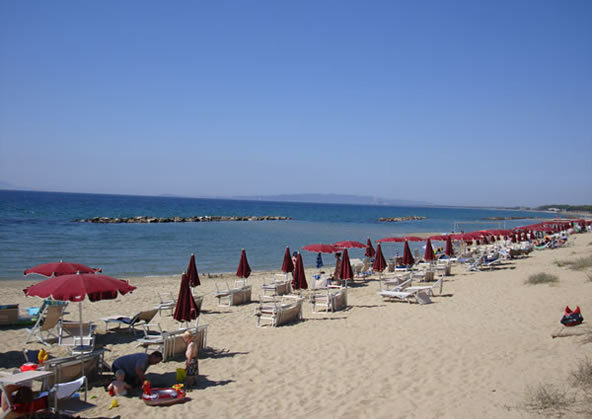 Even in summer you can find semi-deserted stretches of beach.